Trying to get back on the trail. To start the morning, I actually did the stretching exercises for my back that I was taught some ten years ago. We will see where this leads. There are many reasons to cry. 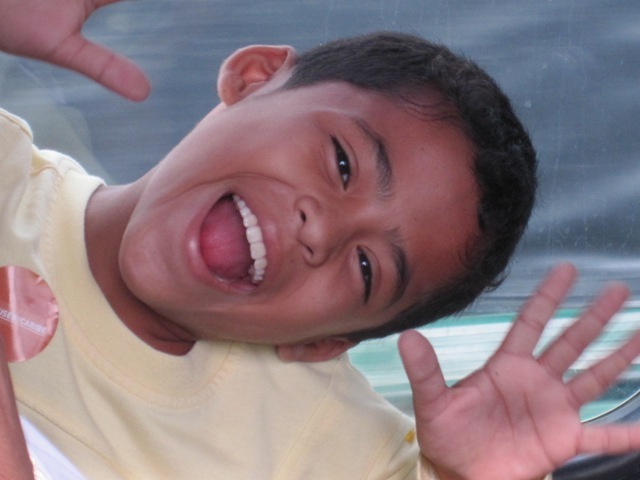 When laughing we have hope. When laughing we are alive. I made it back to Louisville. There was a bit of drama in Atlanta when the 45 minute connection shrunk to 25 minutes. Fortunately the gates were close — I was in seat 32C — and the gate agent was very, very helpful. According to the Delta Web page, the bag is here. So I am off to pick it up. Since everyone except Erik got sick, myself included – although I was one of the least sick, I managed to lose weight in Colombia. Hopefully I can build on that! I am catching up a bit. It has been a good trip. Lots of meetings. 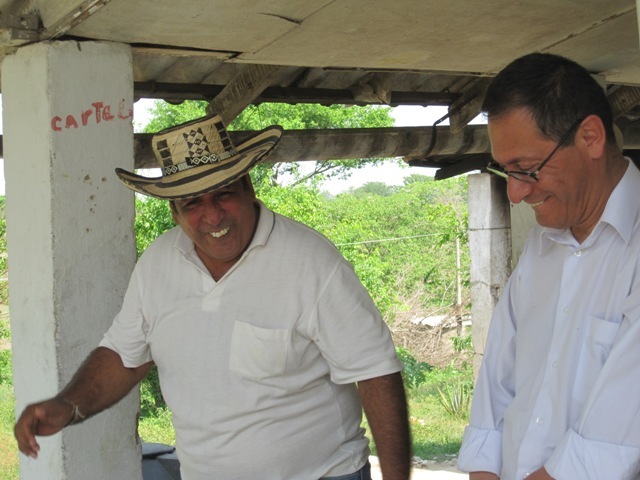 But the meetings went well and plans have been made for the future of the Colombia Accompaniment Program. 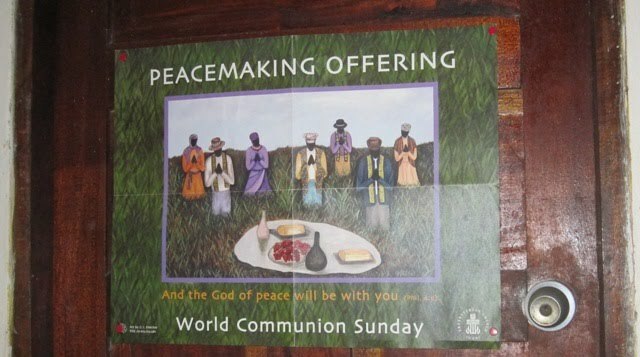 The poster promoting the Peacemaking Offering was posted on a door in the Pital Presbyterian Church. 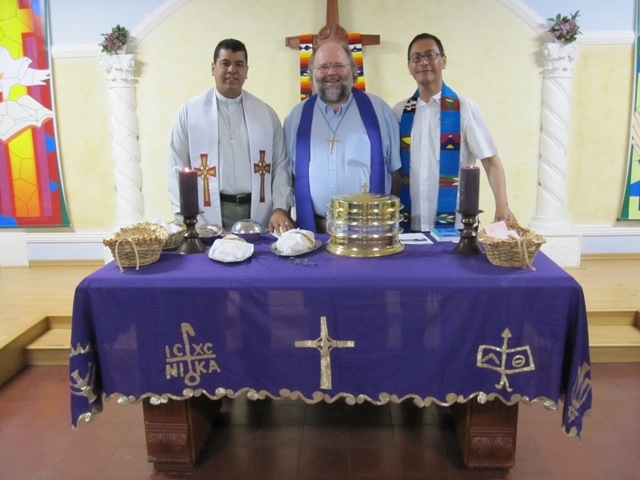 Pital is the one rural church in the Presbytery of the North Coast of the Presbyterian Church in Colombia. Always good to see the Offering promoted. I had the privilege to preach this afternoon in Barranquilla. It was a wonderful experience followed by fellowship at the home of the Rev. Adriano Portillo and dinner at Mac Mondongo. Via Blanca is a community of displaced persons in Colombia who are framing on land given to them by the mayor. In this pilot project, they are growing tomatoes, melons, and peppers. 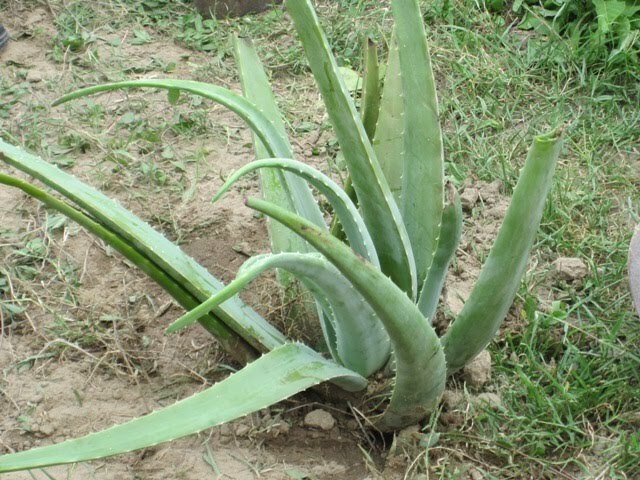 Members of the Presbyterian Church of Colombia and the Presbyterian Church (U.S.A.) visited the community, we worshiped, ate sancocho soup, and planted an aloe vera plant (known as sabila in Colombia).